‘Sew it All’ is a Lottery funded 10 week course offering you the opportunity to make, mend or refashion your clothes, soft furnishings such as curtains & cushions or indeed try your hand at any other fabric based project you have in mind. 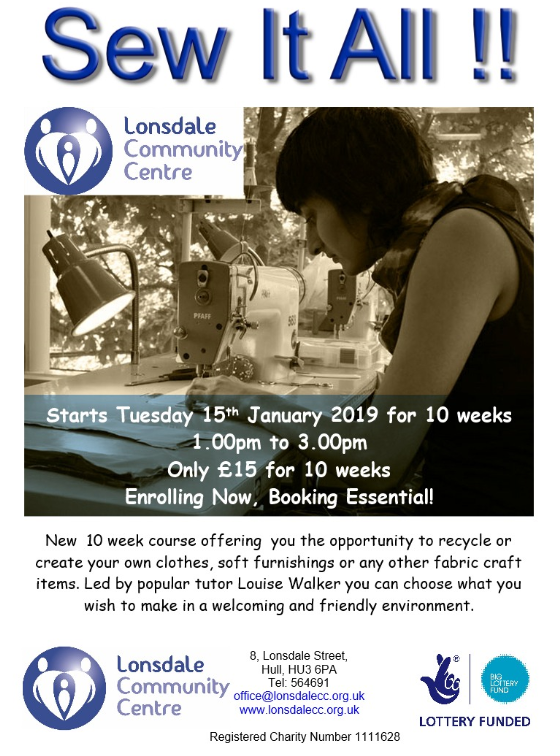 We have nine sewing machines available for use and the course is run by popular tutor Louise Walker who will support you to complete your individual project ideas. The course fees are only £15 for the full course however booking by completing an enrolment form and paying the course fees is absolutely essential as places go quickly! 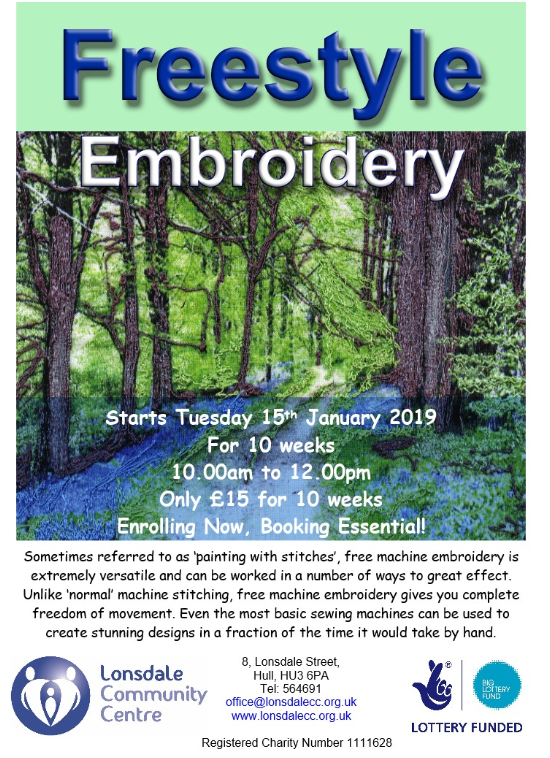 Sometimes referred to as ‘painting with stitches’, free machine embroidery is extremely versatile and can be worked in a number of ways to great effect. Unlike ‘normal’ machine stitching, free machine embroidery gives you complete freedom of movement. Even the most basic sewing machines can be used to create stunning designs in a fraction of the time it would take by hand. The course fees are only £15 for the full course however booking by completing an enrolment form and paying the course fees is absolutely essential as we expect this course to be popular.